Students in teacher Sommer Lyon's class at ECDC Public School in Tulsa watch intently as she shares the story of the Easter Bunny. How much does your school district pay teachers? Oklahoma City Public Schools has 403 teaching vacancies that need to be filled before next school year, up from three years ago, recruiters said. Tulsa Public Schools is struggling to fill 84 positions, up from the typical 30 to 40 vacancies. Smaller districts are also struggling to recruit. “All teachers are getting hard to find … We’ve had to broaden our pool of applicants,” said Ronald Martin, deputy superintendent of instruction for McAlester Public Schools, whose district of about 3,000 students is down four high school teachers, more than in each of the previous three years. The growing scarcity of teachers, educators say, reflects a situation that has marked Oklahoma public schools for decades: The state pays its teachers some of the lowest salaries in the nation. Now, combined with other factors, the lower pay is creating an even greater obstacle for schools to attract and retain good teachers. Ken Calhoun, who leads recruiting for Tulsa Public Schools, points to increased competition in surrounding states as his toughest challenge. His biggest competitors, Texas and northwestern Arkansas, offer better salaries and more classroom resources. Other causes include the high cost of a college degree, which can drive students to pursue higher-paying professions so they can pay off college loans; expanded opportunities for women beyond traditional fields such as teaching; and more intense demands in the classroom. Better pay and other changes, such as more professional support for teachers, could alleviate the shortages, but more funding would need to be found, according to one state study. Some existing teachers are considering leaving Oklahoma for better pay. Tulsa Public Schools prekindergarten teacher Sommer Lyons, who works at ECDC Reed School, said she has considered moving to New York City. 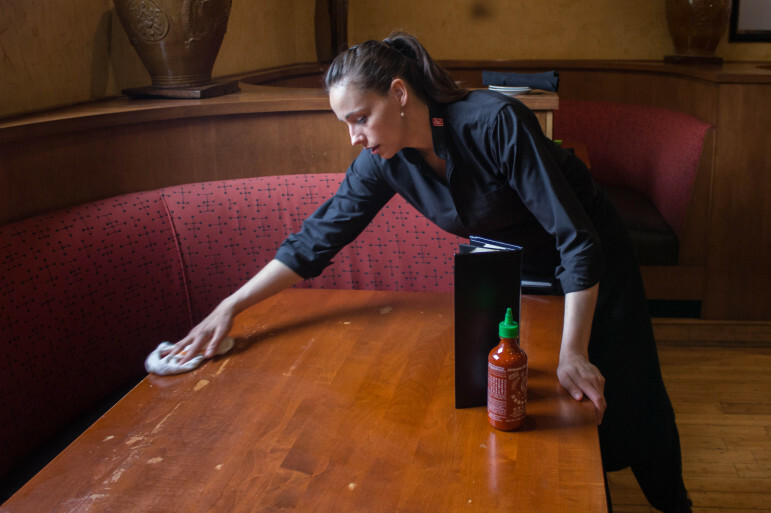 Lyons makes $34,100 a year as a fourth-year teacher and also works an extra 15 hours on weekends waiting tables at a Chinese restaurant. Lyons, a Teacher of the Year candidate, said New York’s average teaching salary of $75,279 has made her contemplate leaving her friends and family for better economic opportunities. The average teacher pay in Oklahoma is $44,128. While the cost of living is higher in New York City, Lyons said that would not be enough to outweigh the extra $31,000 she could potentially earn. Teacher pay in Oklahoma reflects the state’s overall K-12 funding. In the 2012-2013 school year, Oklahoma spent $7,912 per student on average on public schools, ranking it 49th in the nation and last in the seven-state region, according to the National Center for Education Statistics. Percent with advanced degrees: 26 percent. Gender: 78 percent female, 22 percent male. Race/ethnicity: 87 percent White, 6 percent American Indian, 3 percent Black, 1.5 percent Hispanic, 0.4 percent Asian, 0.1 percent Hawaiian/Pacific Islander, 2 percent two or more races. Sources: Oklahoma State Department of Education, National Center for Education Statistics and Oklahoma Office of Educational Quality and Accountability. That same year, Oklahoma’s average salary for teachers was $44,128, which ranked 49th nationally and lowest in the region. The ranking was lower than it was more than 40 years ago, in 1969-1970, when Oklahoma was 46th in teacher pay, according to the center. The state had the second lowest pay in the region at the time, beating only Arkansas. When adjusted for inflation, teacher salaries in Oklahoma have risen by about $1,979 since 1969-1970, but remain lower than in 2009-2010. 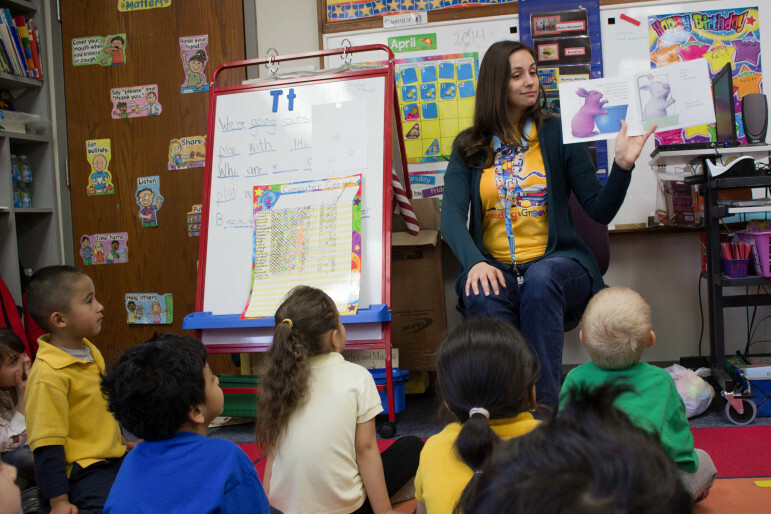 Surrounding states, such as Texas and Colorado, have increased teacher pay at a faster rate. But teaching in Oklahoma does have its perks. Teachers typically work eight hours a day in school. They have in-school hours that are friendly for teachers who are parents and want to be at home with their children after school. Teachers also get summers off, which they can use to work a second job or for leisure. Teachers also receive good health benefits and, unless the Legislature changes it, a defined-benefit pension plan. The number of hours teachers work during the school year goes well beyond their time in the classroom, involving preparation of lessons and grading of papers and exams. Linda Hampton, president of the Oklahoma Education Association, said during the summer, many teachers participate in professional development, work on advanced degrees, tutor students or teach in summer school. They don’t get paid for the former two. Some lawmakers agree Oklahoma’s education is underfunded and teachers are underpaid. But they add there is just not enough money available for much more. 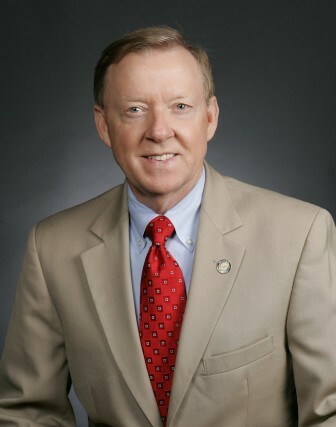 Rep. Earl Sears, R-Bartlesville, said he empathizes with the struggles of teachers like Lyons, but other residents also must make hard decisions about where to live and what career to pursue. Sears, who sponsored an income tax-cut bill opposed by many teachers, said the need for more education funding comes at a time when the state is in a fiscal pinch. More funds also are needed for public safety, mental health and corrections. Sears believes that a friendlier tax climate will attract more private companies to Oklahoma, generating more economic growth and a bigger tax haul. The Senate’s income tax-cut bill, which adopted provisions of the House bill, was sent to the governor Wednesday. Opponents of the tax cut say Oklahoma’s tax burden already is low, and that the best way to attract more business is to maintain a quality education system and invest wisely in public essentials, including health. Hampton said when it comes to teacher salaries, the state has been kicking the can down the road for years. While teachers don’t go into the field just for the pay, they need to be paid enough to support themselves and their families. A bill raising teachers’ base pay by $2,000 failed to gain traction in the Legislature this year. State Superintendent Janet Barresi has asked districts to voluntarily implement the pay hike using reserve funding. The minimum starting pay for teachers would increase to $33,600. Barresi’s proposal has met with resistance from school administrators, who say the raise is not sustainable without increased state funding. Others options are to increase the state’s horizontal drilling tax or franchise fee or increase education earmarks in the budget. But it’s unclear if such hikes will pass and how much they would be. Districts are stepping up recruitment and trying to show there are reasons to live in Oklahoma despite the low pay. Tulsa and Oklahoma City public schools are recruiting in regions that have too many teachers or a higher cost of living, such as New England. The districts also are recruiting in Spain for teachers who can speak both English and Spanish so the schools can meet the needs of growing numbers of Hispanic students whose primary language isn’t English. Tulsa offered 12 jobs and Oklahoma City offered 16 jobs to those candidates for next school year. Some districts are offering up to $2,000 signing bonuses for hard-to-fill positions. Oklahoma City offers a $500 retention bonus to keep experienced teachers. 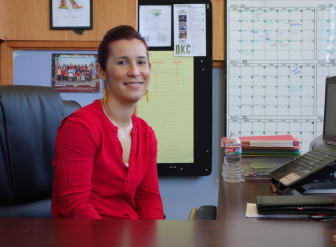 Bianca Rose, who handles recruitment for Oklahoma City Public Schools, said she tries to highlight the state’s economic growth, the low cost of living and the region’s cultural attractions as reasons to make the move. One of the biggest draws, especially in Spain, has been the Oklahoma Thunder. “Kevin Durant and Russell Westbrook have been very helpful to our recruitment efforts,” Rose said of the team’s star players. The district, which is in the middle of its biggest recruitment push ever, hired 58 teachers last week. An Oklahoma State Department of Education study released in January recommended several changes to address the teacher shortage. Among them are boosting compensation; providing more professional training and support for teachers; easing certification requirements to better match those of surrounding states, and allowing teachers to advance their careers, such as through mentoring, without having to go into administration. The department plans to release more details on the scope of the shortage this summer. Younger teachers say something needs to change to keep the career viable. Kevin Pearson grew up wanting to be a music teacher. Now, six years into his career at Tulsa Public Schools, the Sand Springs native questions whether he can keep his dream job. He makes $34,900 a year and also plays piano during church services each Sunday for extra cash. That’s better than having to wait tables or manage a parking lot right after working in a classroom, he said. Pearson said he knows several early-career teachers who have to moonlight to make ends meet.